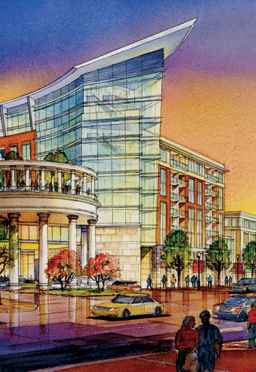 RJTR provided master planning and architectural design services for this mixed-use development. Billed as “The Ultimate University Experience”, this four-acre development extends beyond the “live work play” model and takes it to a new level. 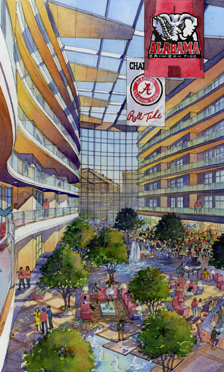 The project is a joint development of the University of Alabama and Spectrum Capital, LLC. The project features 125 luxury condominium residences, 250 hotel rooms, 30,000 sf of office space, 75,000 sf of retail and restaurant space, and 1,100 structured parking spaces. 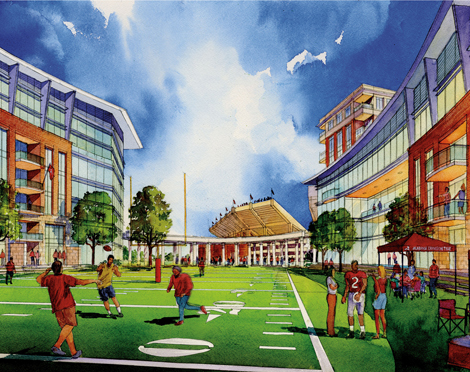 Across the street from the project is Bryant-Denny Stadium for the University of Alabama’s Crimson Tide.